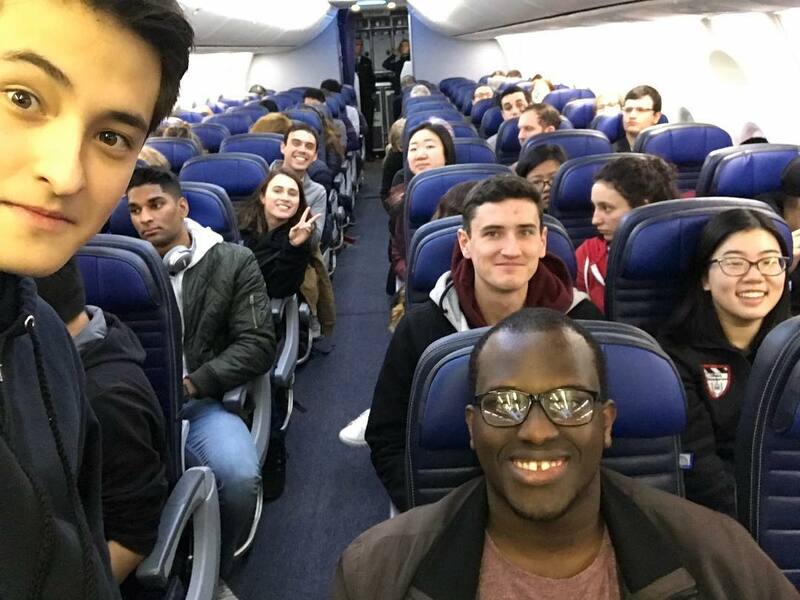 With the Harvard Glee Club on tour again comes another installment of HGC tour blog along with a new tour blog writer. I am a freshman, making this my first time on tour with HGC. I look forward to all the experiences, memories, and music that will be made over the next week and a half. The presence of the Radcliffe Choral Society with us over the next several days—the first joint tour in several decades—merely adds to the excitement. Day 1 began as most winter tours do with singers flying from around to world to meet at the first stop with students arriving in Dallas over the course of the day. A large Boston contingent of excited singers awaits take off. 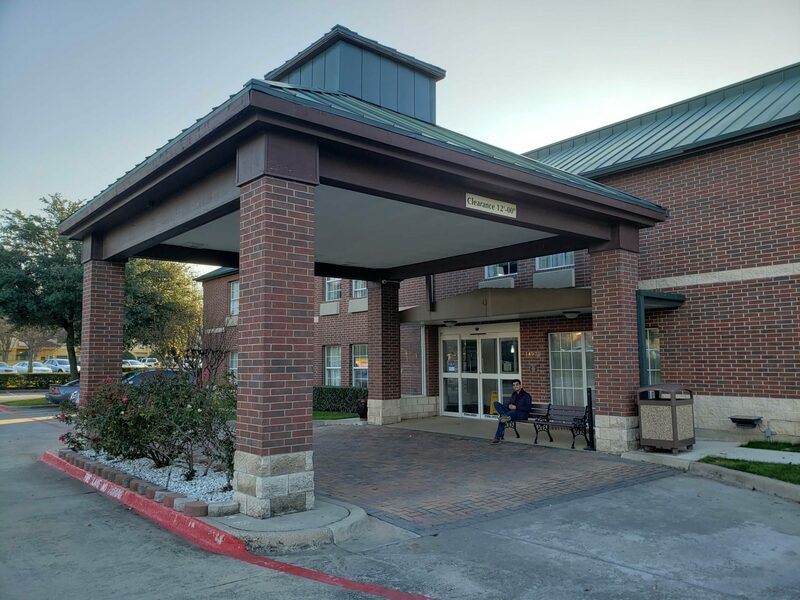 Upon arriving at Dallas Fort Worth International Airport, singers made their way toward the Best Western Plus Dallas/Addison in small bunches as hunger and patience dictated. (Note to prospective travelers: There are no food establishments available to travelers after leaving the main terminal…) After the largest group arrived shortly after midday, singers remaining at the airport took a bus to the hotel. Students arrive at the Best Western, eager to explore the surrounding area. Management arrived early, ready to smooth over any logistical problems. 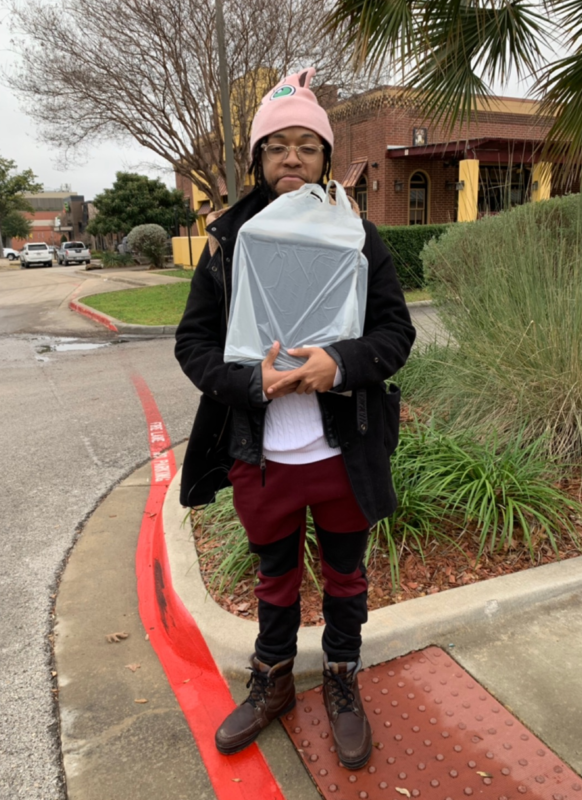 Manager Samuel Hsiang ’20 and Librarian Nathan Robinson ’20, anticipating the potential for absent-minded, music-forgetting gleeks (not as if that could ever happen) came prepared with extra music and began their day with a run to the nearest Staples to acquire spare binders. Nathan Robinson contemplates what he would do in the unlikely event singers forgot their music. Singers spent the afternoon getting lunch and walking around Addison with a large contingent, led by green-spaces-enthusiast Patrick Braga GSD ’20, visiting several local parks. After returning to the hotel that evening, HGC and RCS settled down for a catered lasgana dinner before returning to their rooms to catch-up. 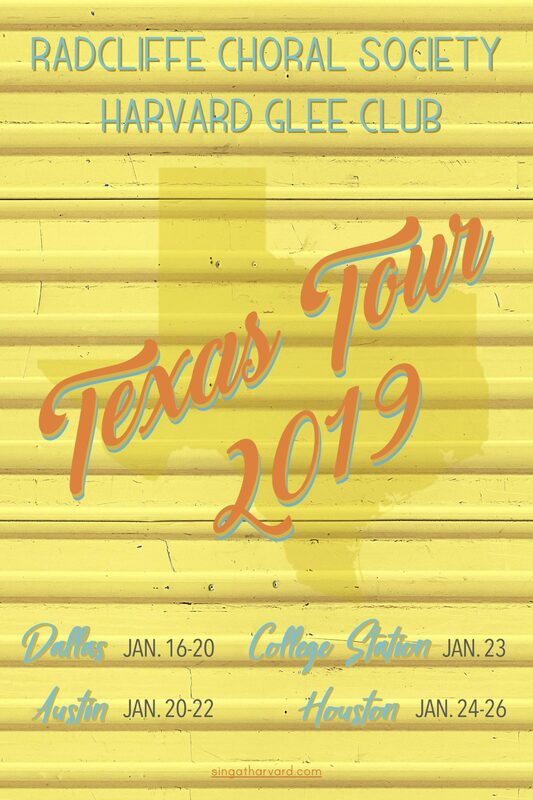 Combined HGC-RCS 2019 Texas Tour Poster, designed by . After an exciting and restful evening (an inverse relationship for many gleeks), singers settle in for the night ready to begin rehearsal for their first concert the next day.